This makes Carth selectable as a PC, and adds Carth-specific items. 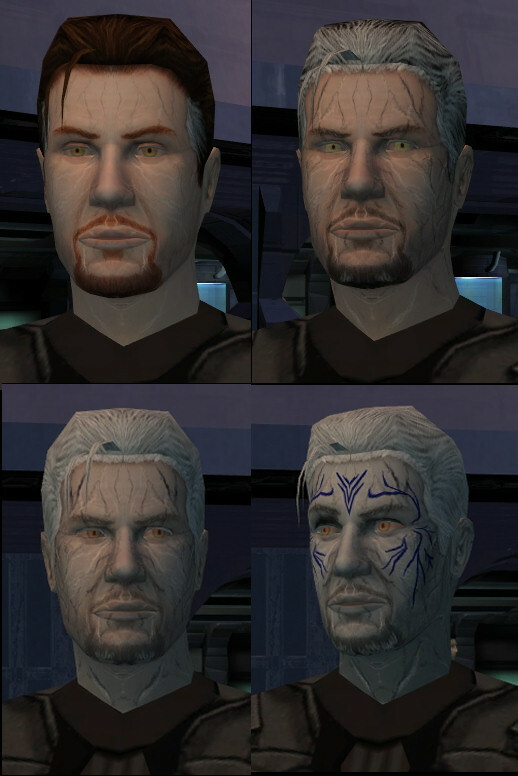 This items will be found in the Exile's quarters on the Harbinger, and include his flight jacket, admiral's uniform (er.. general's uniform), modified armband, and a couple other items you might expect to find in Carth's footlocker. The jacket is similar in stats to Atton and Mira's jackets, the uniform has slightly a higher defense (just because), and the armband adds some blaster feats. Unzip the .zip file to your hard drive and run TSLPatcher.exe. When prompted, select your LucasArts\SWKotOR2 folder (not your override folder). The patcher will copy the files to your override folder and make the necessary edits to your 2da files. You may be asked if you want to allow nwnnsscomp.exe to run -- this is just the script compiler compiling the newly customized script to add the new items to the footlocker. 1. When creating a new character, after you select Carth as the portrait and move on to setting up his attributes, he may be rather stange over there on the left side of your screen. The game doesn't check to see which model it ought to be using to the character at this point, and is painting his flight jacket over the standard clothing model. He won't look like that once you get into the game, I swear! 2. The Carth PC is the only one who can properly equip the flight jacket and uniform. 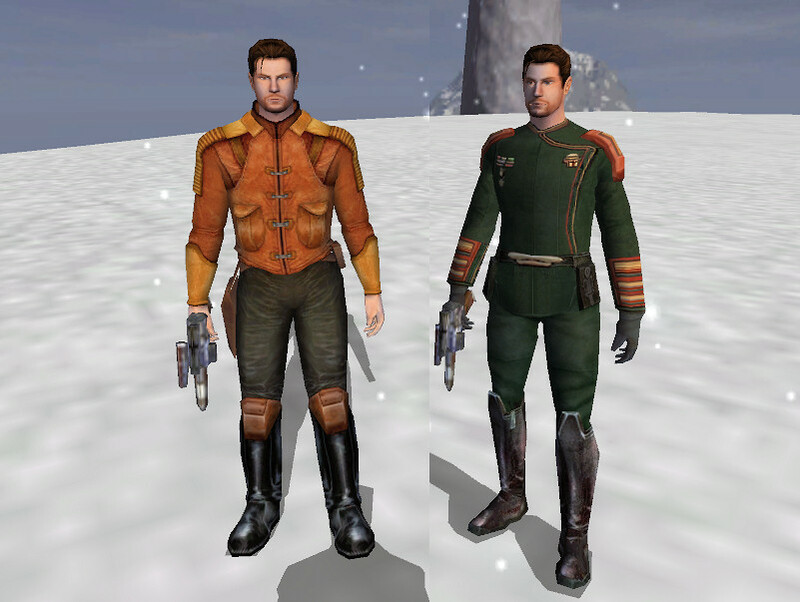 If you cheat the items into the game and put the jacket on a non-Carth PC, it will appear as the standard clothing. If you put the uniform on a non-Carth PC, your game *will* crash -- the rest of the guys don't specify a model where I sneaked this one in :) If you really really want to use these two items on a non-Carth PC, you'll have to edit your appearance.2da file and change their modelb, texb, modell and texl columns to match Carth's. However if you do so, I assume no liability for the legion of angry fangirls with torches and pitchforks that may arrive at your door. The new versions are named PCARTHPC.mdl, PCARTHPC.mdx, etc. V2.0 Added dark side transitions, created by Princess Artemis. Many thanks to her! V2.1 Fixed some model conflicts with my "Carth's Eye Searing Armor Fix" mod. V2.2 Thanks to new features in TSLPatcher, Carth items only appear in the footlocker on the Harbinger for the Carth PC, rather than for any male PC. V2.3 Added compatibility with Princess Artemis' "Dustil Selectable PC"